This was very quick to paint. The background was more-or-less completed in one sitting, leaving the insect-like ship to overlay. 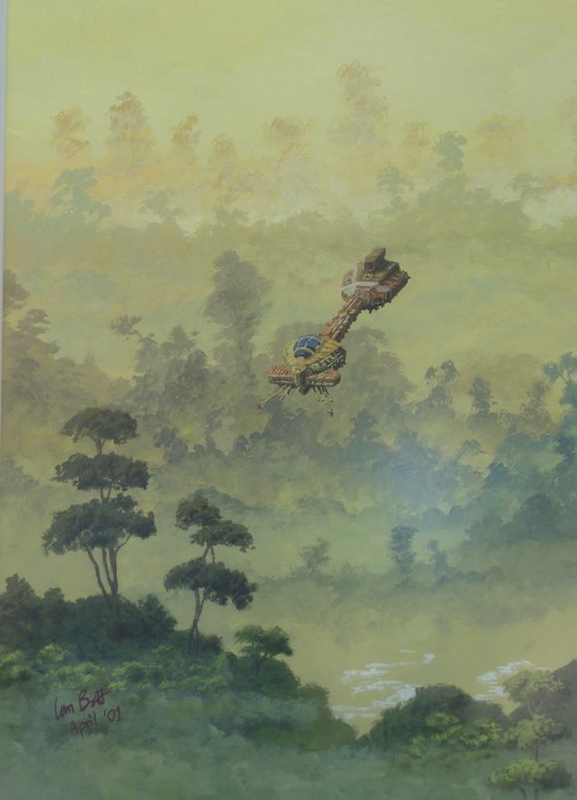 This was inspired by the scenery of Vietnam and Cambodia from movies such as Platoon and Apocalypse Now.